My Editorial photography for The Times in the last few weeks has included Mayor of London Boris Johnson, James Bond’s ‘real’ car and the final curtain call for disgraced publicist Max Clifford. Starting with the picture above, this is what’s thought to be the original inspiration for James Bond’s Aston Martin. This vehicle, a 1954 Aston Martin DB 2/4 was very present in Ian Flemmings life during his years at the Old Admiralty Building in Whitehall during the time he would have been developing the James Bond character. This photo call, using a couple of genuine Royal Navy commanders (from the PR department, though!) was organised, in front of the Old Admiralty Building by Coys auctioneers. 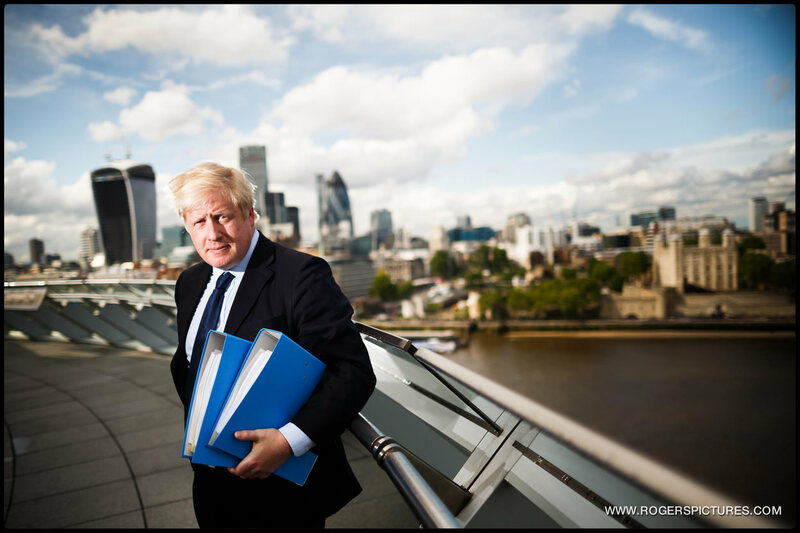 Another two minute portrait session with Mayor of London Boris Johnson, on the balcony of City Hall. There’s been countless portraits of the Mayor standing on this balcony before, so I wanted to make this one slightly different, but I really didn’t have much time at all. He’d just been outlining the case, again, for a new airport built in the Thames Estuary, dubbed Boris Island. So I wanted to see the Thames in the portrait, and I’ve asked him to hold the folders containing his plans. I also wanted a really shallow depth of field, so I’ve used a neutral density filter to keep the light levels low enough to mix some flash with the ambient light. 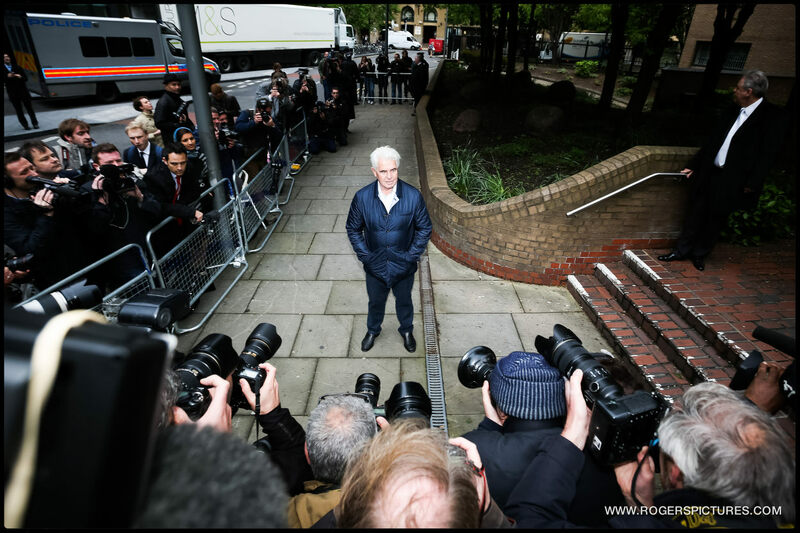 Max Clifford’s final appearance in front of the media before being sentenced for sexual assault at Southwark Crown Court. He stands and poses every day, and as this was to be the last time he’d be in front of the camera for a while, there were a few dozen photographers and camera crews. His rise and fall has been intertwined with the press, so I wanted to include that element in this picture. This is on a 16mm lens to give me a wide view, and the camera is being held above my head, whilst balancing on the fourth step of a ladder in order to get this viewpoint. I’ve zoomed the on camera flash in, to give me a slight spotlight on Clifford, and used the Live View feature of the Canon 5D mkIII to frame the picture. This is a newly refurbished Victorian nursery at Audley End House in Essex. There’s a couple of lights in the far room illuminating the lady holding the dress, as well as a small LED light to the left of the frame living the shadows in the dolls house. 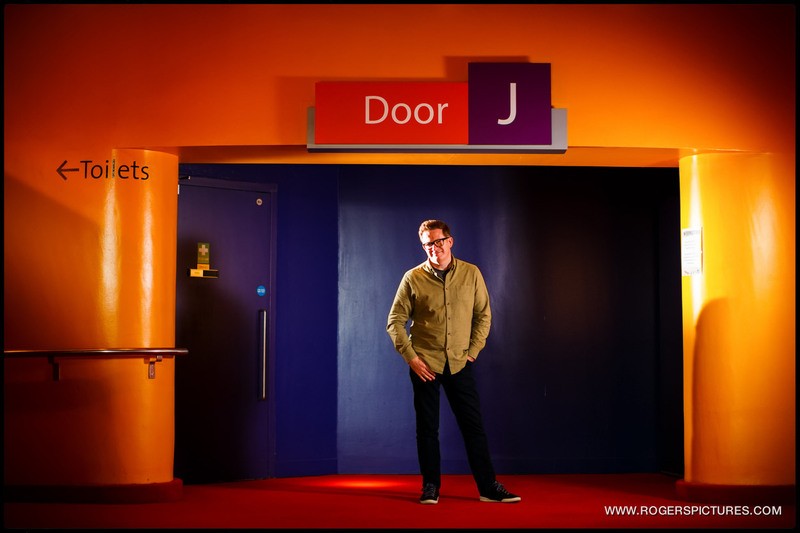 Below are some portraits of Choreographer Matthew Bourne photographed at the Lowry centre in Manchester, and American author Donna Leon, at Durrants Hotel in London. 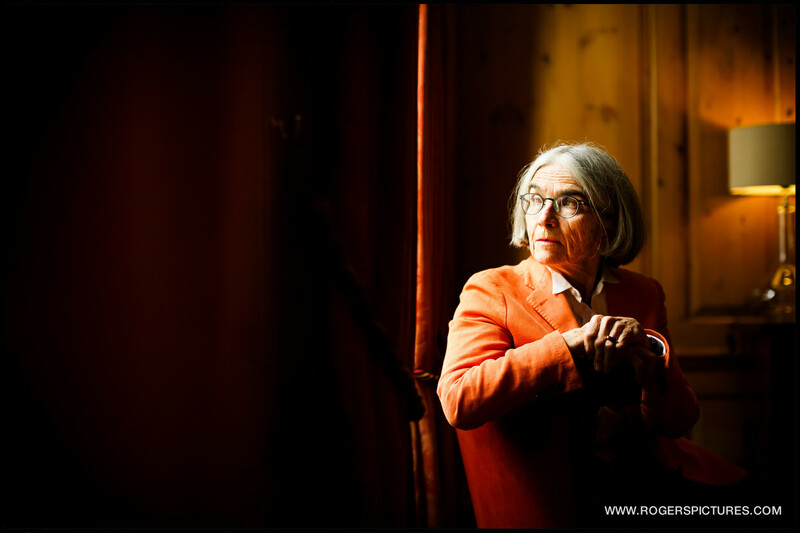 I particularly like the bold orange colours in these, and the difference between the natural window light of the first portrait of Donna Leon, compared with my artificially produced light from a soft box, below. And finally, here’s a feature picture from Boston in Lincolnshire to illustrate it being targeted by UKIP in the recent European Elections. Followed by a preview of the newly refurbished Terminal 2 at Heathrow, and my daughter enjoying the Spring sunshine in Cambridge, used in The TImes. Have a look at more of my Editorial photography for The Times in London, or here’s my documentary wedding photography.